Inside the set, you’ll find enough stabbas, pokin’ spears and Moon Shields to build a unit of Stabbas, or enough Moonclan bows and slittas to build a unit of Shootas. 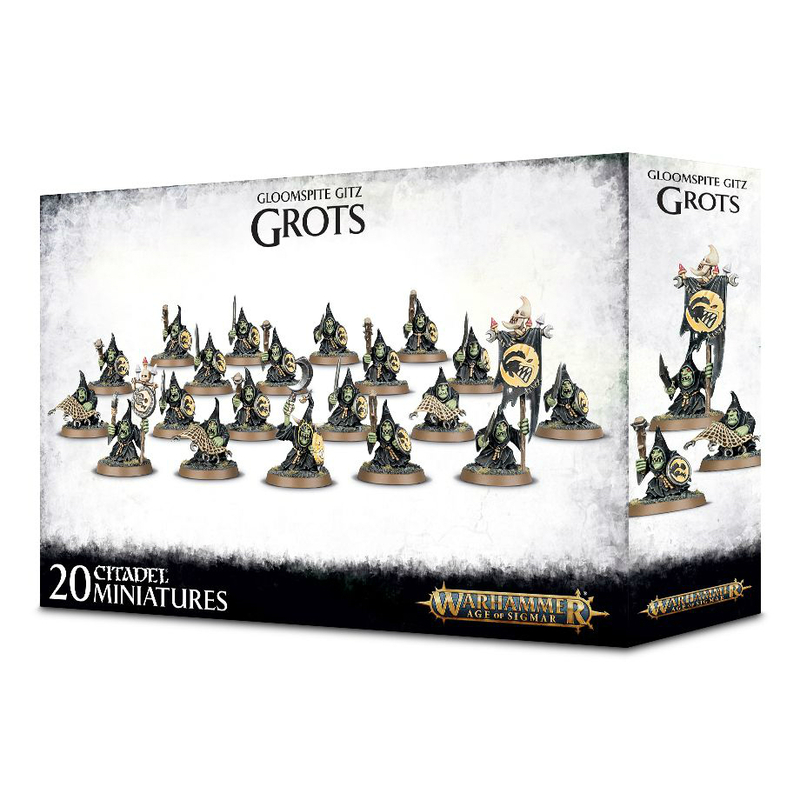 You’ll also find a choice of Icon Bearers, a Gong Basher, 2 barbed nets and a special stabba for denoting the unit’s Moonclan Boss. Our Price $49.00 Another currency?